Welcome to Music Friday when we bring you fabulous songs with jewelry, gemstones or precious metals in the title or lyrics. 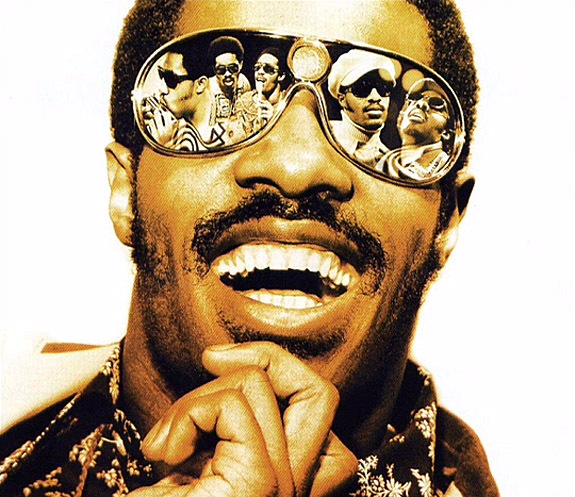 Today, we present the legendary Stevie Wonder performing “Golden Lady” from his classic 1973 album, Innervisions. Innervisions was a remarkable and monumental achievement on so many levels. Not only did the then-23-year-old Wonder write all the songs on the album, he’s also credited with singing the lead and background vocals, as well as playing nearly all the instruments on six of the album’s nine tracks. These include the piano, bass, synthesizer, harmonica, congas, drums and handclaps — a true one-man band. The album went on to win a Grammy for “Album of the Year” and is considered by critics and fans alike to be one of Wonder’s finest works. In 2003, Rolling Stone ranked Innervisions at #23 on its list of the 500 greatest albums of all time. Blind since shortly after his birth in 1950, Wonder was a musical prodigy and was signed to a recording contract as an 11-year-old by Motown CEO Berry Gordy. During his youth he performed as Little Stevie Wonder. Written and performed by Stevie Wonder.